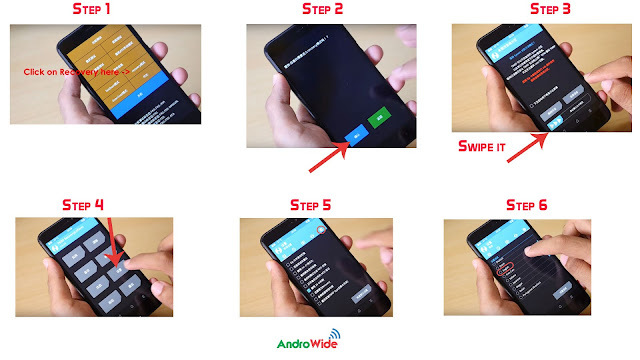 Note: Rooting Can Void Your Warranty, and if you do something wrong your device may be bricked at mi logo, you can fix it by own but AndroWide does not take any responsibility if anything goes wrong. 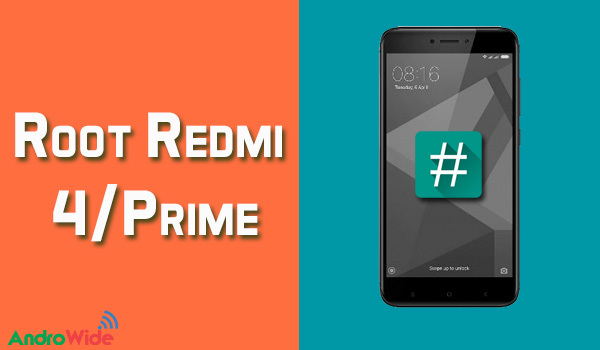 Today I am going to show you that how to Root Redmi 4/Prime Indian Variant and Flash TWRP Recovery on your device, as we all know Redmi 4 is one of the best and cheapest smartphone present in current market, having all the necessary features in very competitive price point. First take a look at what Redmi 4 offers, so Redmi 4 Comes with 5 inch 1280x720 HD Screen (Not Full HD), with Snapdragon 435 Octa-Core CPU which can clock upto 1.4 GHz, 13 Megapixel Rear Camera along with 5 megapixel Front facing camera with PDAF, Fingerprint sensor on the back, Runs on Android marshmallow 6.0.1 with MIUI 8, supports a hybrid dual sim slot, the Redmi 4 Comes in 3 Variants in India, 2GB RAM/16GB internal, 3GB RAM/32 GB Internal, and 4GB RAM/64GB Internal Memory, with the price tag of 6999, 8999, and 10999 respectively. Now Just Move on to the topic of how to Root redmi 4 indian variant, so by this method which I am going to describe over here, you can Root any of the above variants of redmi 4. First of all let me clear one thing the Rooting Redmi 4/Prime without PC is not possible, so you must have to use a Laptop/PC to get Root Access. Now After the above procedure you need to Unlock the Bootloader of your Redmi 4 device, without unlocking the bootloader you cannot do much with your phone, so it’s necessary or you can say must to unlock it. Watch a detailed video here on which Dhananjay Described all the things that how can you Unlock Bootloader on Any Xiaomi Device. Now I am assuming that you have done all the above part, you have backed up your device, and unlocked the bootloader too. Now moving further to Install TWRP Custom Recovery on Redmi 4 after that we will ROOT redmi 4 as well. Now I would like to tell you all the requirement to get root access on your redmi 4 device. Now Power off Your redmi 4, and Press the Volume Down+Power Button together to boot into Fastboot Mode. now just click on Open Command Windows Here, after that you will see a command window appearing on your laptop or pc, now make sure that your redmi 4 is connected to your PC and its getting recognized by your PC or not. now move further to flash TWRP on Your Redmi 4/Prime device. It will take about 5 to 10 seconds to be flashed on your device. now let me tell you one more thing that currently this TWRP recovery comes with Chinese language by default but you can change it, just see the below image with the steps- how to change TWRP language to English From Chinese. after flashing SuperSu go back and then again click on install and this time flash LazyFlasher and that’s it. Now Go back and Reboot to system and it will take some time be rebooted, just wait. Comment if you face any issue doing this whole Rooting Process of Redmi 4/Prime Indian Variant.